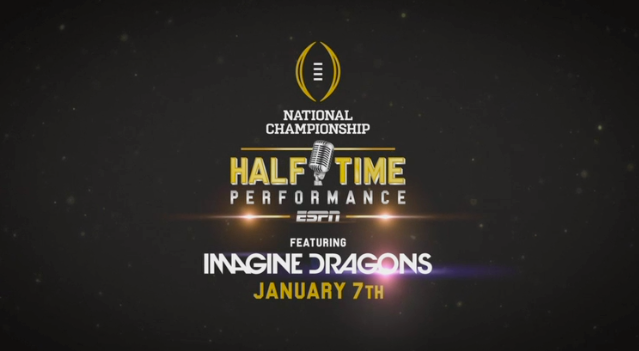 ESPN has announced that Grammy award-winning band Imagine Dragons will perform during halftime of the College Football Playoff National Championship game. 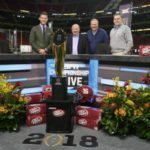 The College Football Playoff National Championship Presented by AT&T will kick off in Santa Clara on January 7, 2019 on ESPN. 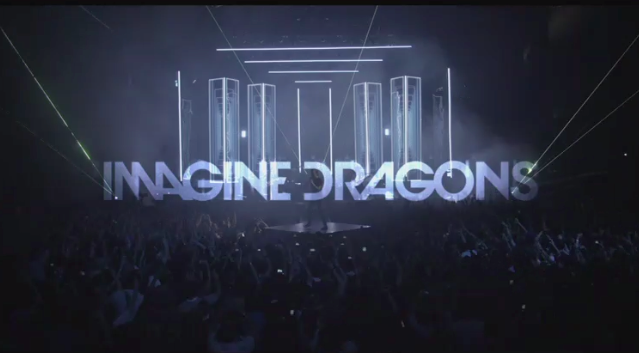 Imagine Dragons will perform live from Treasure Island, located in the San Francisco Bay. 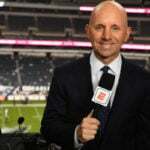 The performance will be integrated into halftime of ESPN’s telecast of the College Football Playoff National Championship. The special performance will be free for fans and will require passes in order to access Treasure Island. Details on how to acquire passes will be shared closer to the performance. Imagine Dragons will perform several songs, including tracks from their latest album, Origins, which was released in November.